Today marks the 8th year of the birth of my miniature me. I don't know how one child could be so much like her mother. It's actually a tad bit scary. It's as if I am raising and living with a smaller version of myself. and of course, as you can see in the picture below...our POSING WAYS. The bond that I have with my youngest doesn't compare to the bond that I share with Logan. Is it a stronger bond? No. Is Logan my favorite? Absolutely not, but we have this strange connection that I don't have with Landry. Sometimes it works in our favor and sometimes it's a hot mess because we are so much alike. She has tested my patience to no end. I have fought double the battles with her than with my youngest. She has driven me to pure mommy craziness. But, her existence has provided a bond that will never be broken or replicated; a connection that I will never have with anyone else. Even though she is too cool to hold my hand in public, she is my side kick, singing partner in the car, shopping buddy, bedtime story reader....my mini me. I love you Logan and am so proud of all that you are, dream to be and will one day become. I look forward to the day that we can share clothes. I know, that sounds so shallow and superficial, but I do envision that day. You are part of my heart, soul and life...forever. Happy Birthday, Logan. I can't believe you are 8 years old going on 18. Now, I am off to get ready for tonight's slumber party that will consist of all things nails, toes, make up, cupcakes, giggles and a late night! Go here and click to vote. Super easy and only takes a minute. It would mean the world to me if I won. You can do this once per day until April 9th. Don't worry if you forget, I will be reminding all of you on a daily basis! Happy Easter! Hope you are getting a nice long weekend. Enjoy! Happy Birthday to little Miss Logan! I hope she has an amazing birthday! Happy birthday!! She is so cute and obviously loves fashion. : ) happy Friday girl!! That photo collage is absolutely adorable! Happiest of birthdays to your ray of sunshine! happy eighth birthday to Logan! i hope she has a fabulous day! Happy birthday Logan! Voting for you daily! Those poses! She is so adorable. She's a fashion blogger in training! My goodness she IS a mini you! Happy birthday to sweet Logan! I love her poses, she's got so much sass and she's just beautiful like her mommy. Happy Birthday to your precious girl!! This is such a cute post and her poses - omg. Hilarious! Happy birthday to your sweet girl! My little man is the one that is just like me. We clash quite a bit because we are so much alike but I LOVE that boy so much too. Happy birthday Logan, if she is just like you then she is an amazing girl! Happy birthday, Logan! She is such a little fashionista! Have a great weekend, Shanna! PS Thanks for letting me know you got my email...I know you're super busy so no worries! Logan is so beautiful! Happy 8th birthday, sweet girl! PS- went to go vote again, and it says I have already voted within the last 24 hours ;) woops! I'll try again later! You've got this!! Happy birthday to your little!!! Enjoy that girlie pie sleepover! We have those a lot in our house...oh, the drama! awwww how precious is she??? happy birthday to her!! Happy birthday to your mini-you!! Hope she has a great time at her party!! She is SO your mini me! Happy Birthday sweet girl! This is SO sweet! I hope to have a special connection like this with a little daughter someday :) Happy birthday to Logan, and I hope you have fun with the celebrations! Happy Birthday to your sweet gal! Love this post. Happy birthday to your mini me. Have fun this weekend! Happy Birthday to Logan. I'm doing my best to vote everyday! Happy Birthday to her, she's just darling! Have a wonderful Easter / birthday! Happy birthday to your baby girl!!! She is precious! Hope y'all have a wonderful Birthday weekend! I love that you have a mini-me!!! She's too adorable! That's weird that your kids are Logan and Landry, my kids are London (daughter) and Logan(son)I did the L thing too...they are even the same ages! She's a beautiful little girl. Happy Birthday Miss Logan! Happy Birthday to your daughter!! She is sooooo cute!! My fave is for sure the first pic with the denim dress! So adorable! Now following via gfc! Hope yall have a wonderful weekend! She is a doll! 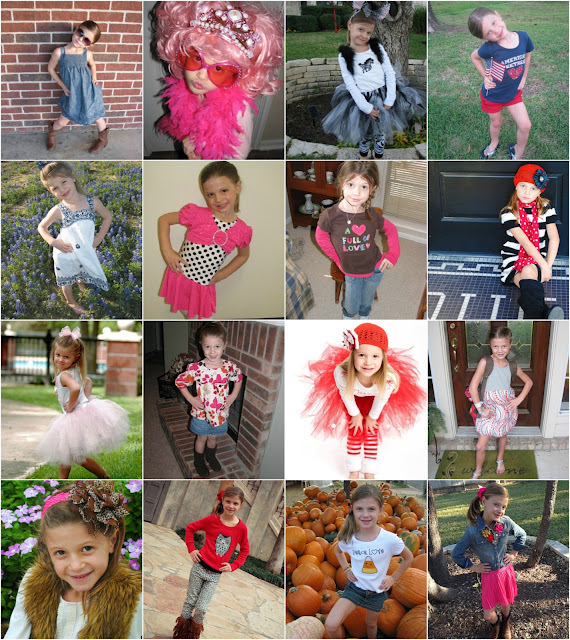 I love all her poses...such a fashionista just like her momma! :) Have fun tonight!! such a sweet post!! Happy (be)lated birthday again!! happy birthday to the cutie! Sorry I am late wishing you Happy Birthday Logan. Your mother in law will hopefully get better once you have my grandchildren. Love you Princess! Happy Birthday Logan!! She really is a mini YOU. Sharing clothes will double y'alls wardrobe! I'm catching up on blog reading - Happy Belated Birthday to your mini me! Her poses are adorable, and so like you!